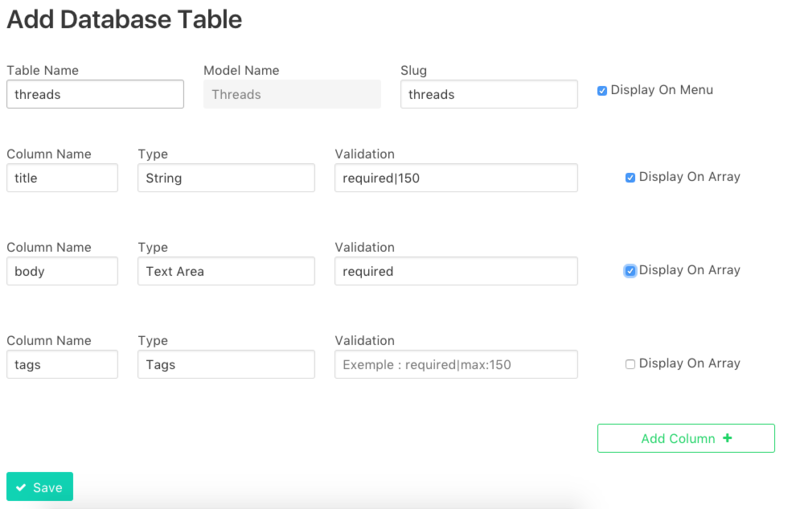 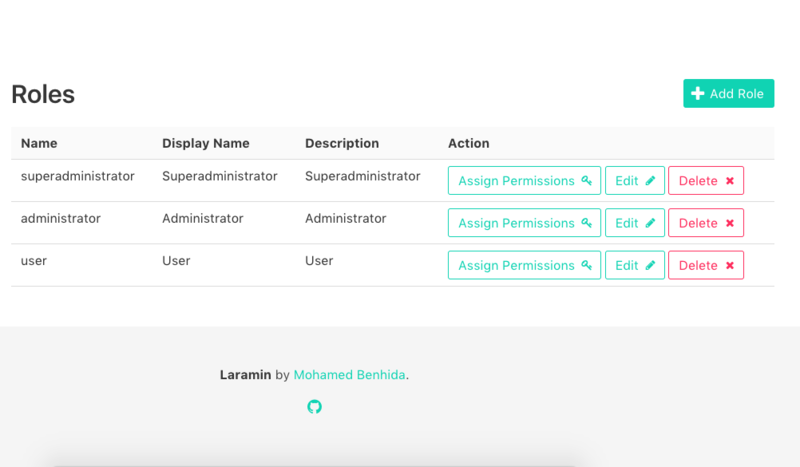 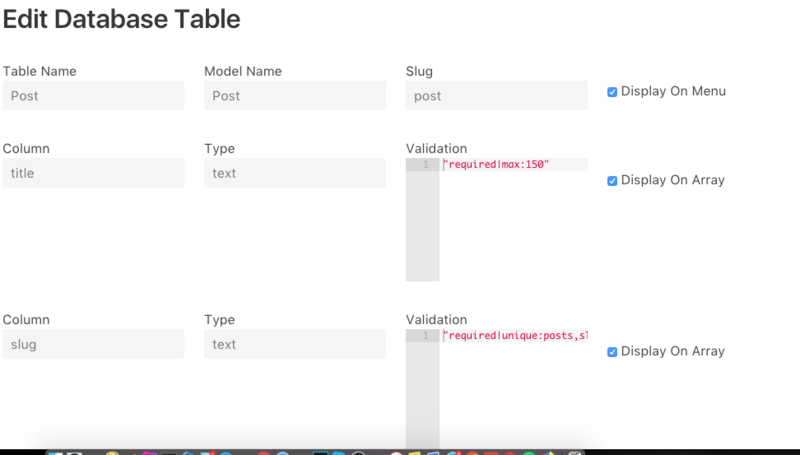 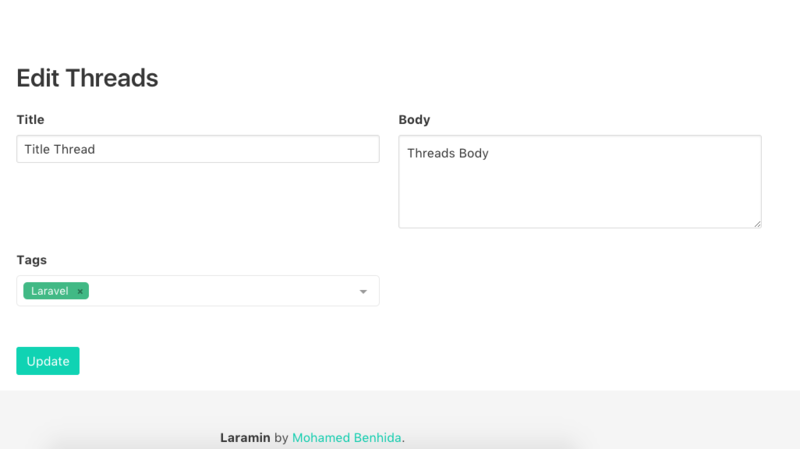 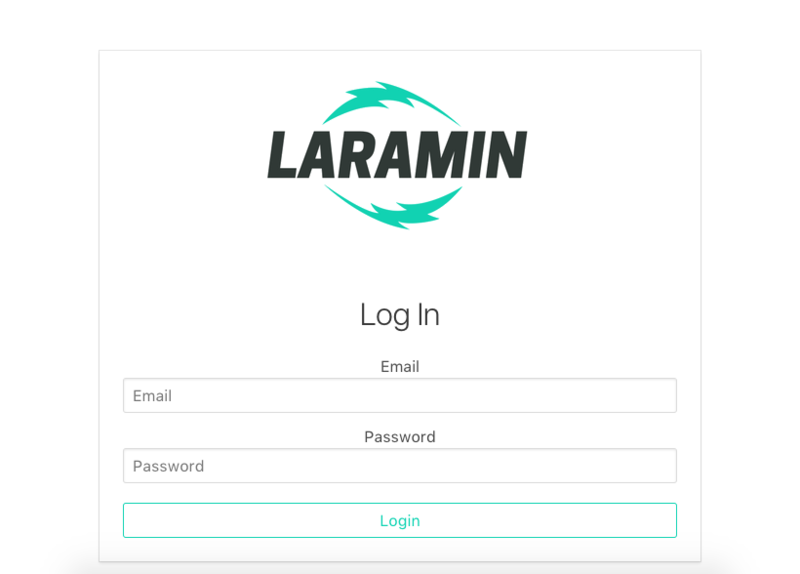 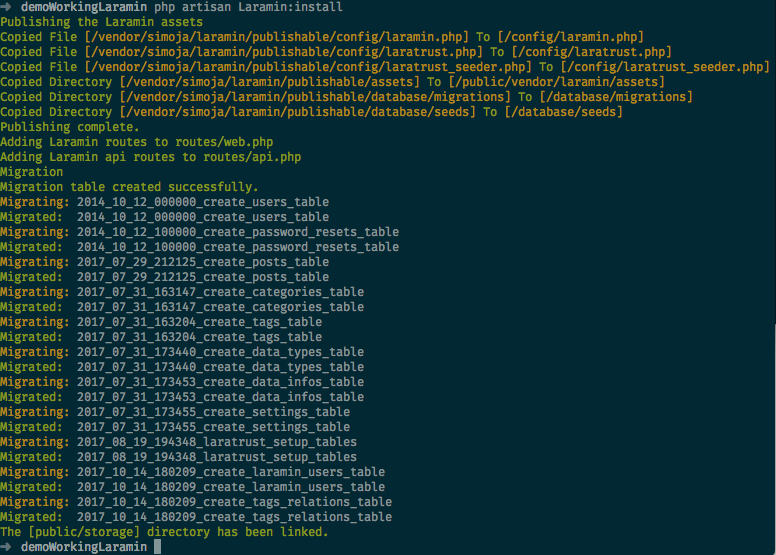 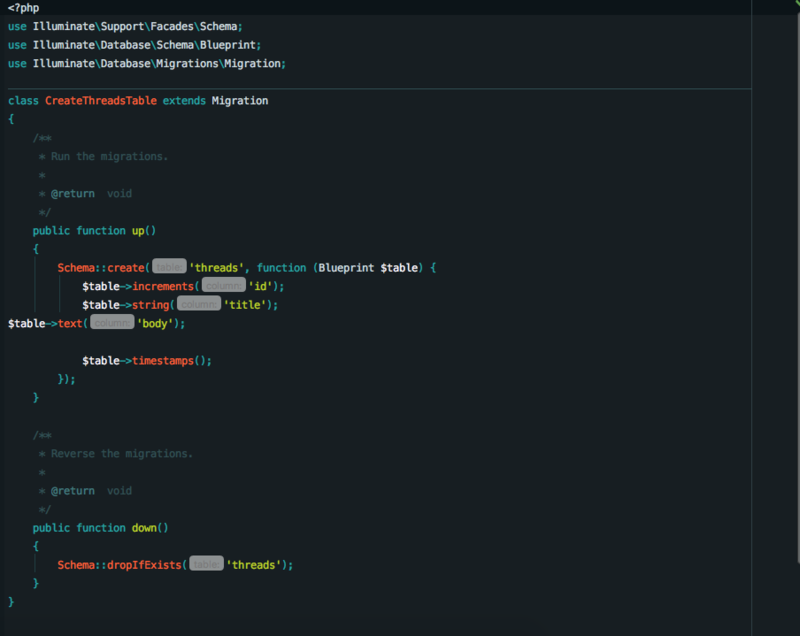 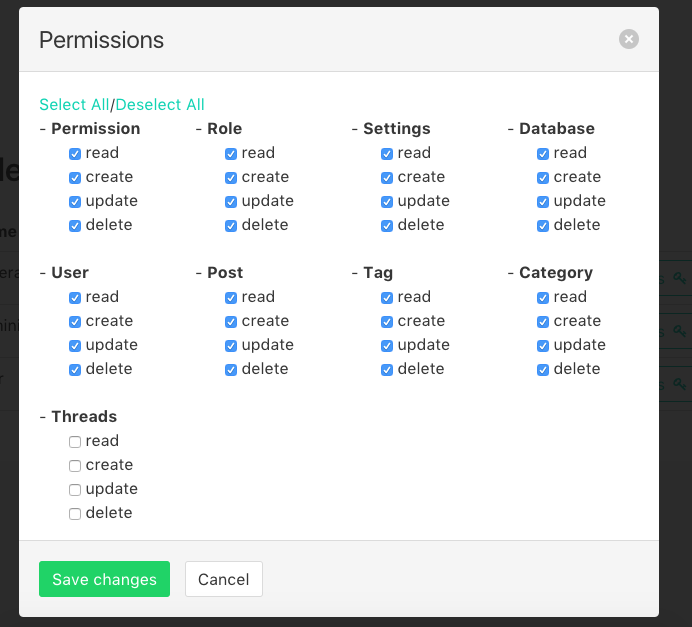 Laramin is a small admin panel helps you do the CRUD without adding a line of code provides a good features like Tags,Datatables ... , Making a model file and a migration file also trigger for you php artisan:migrate that is all in one click So in this post we will see how can we work with it step by step. 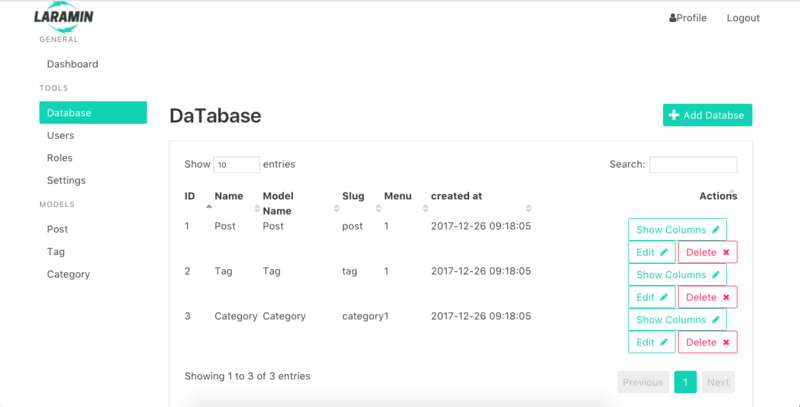 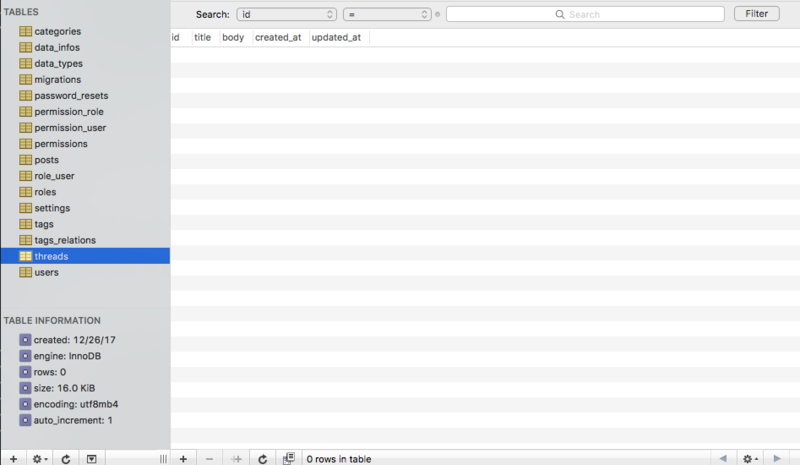 Let's begin by exploring the database menu. 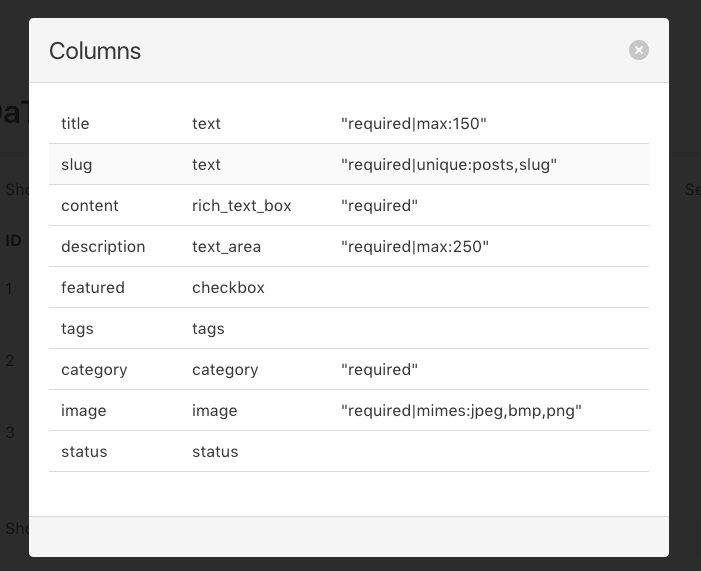 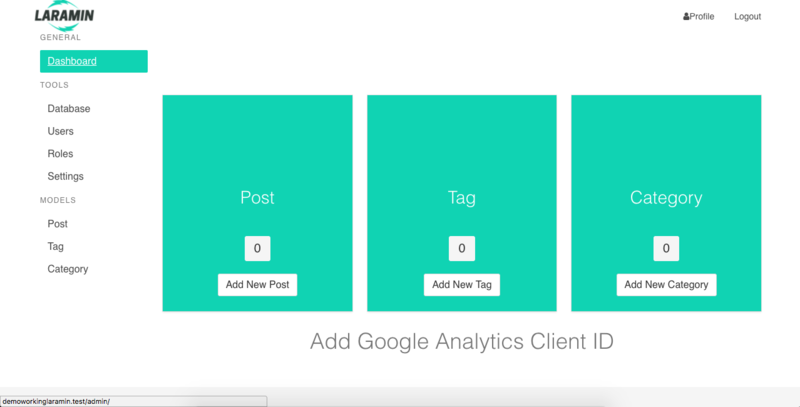 Here we can see the columns of Post database and the validation infos. 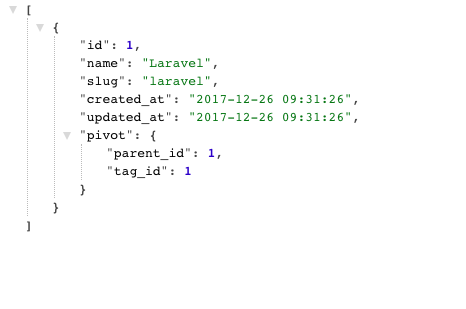 For now we can just edit the validation credentials and if you want this Model to be in displayed on menu or on Datatable array. 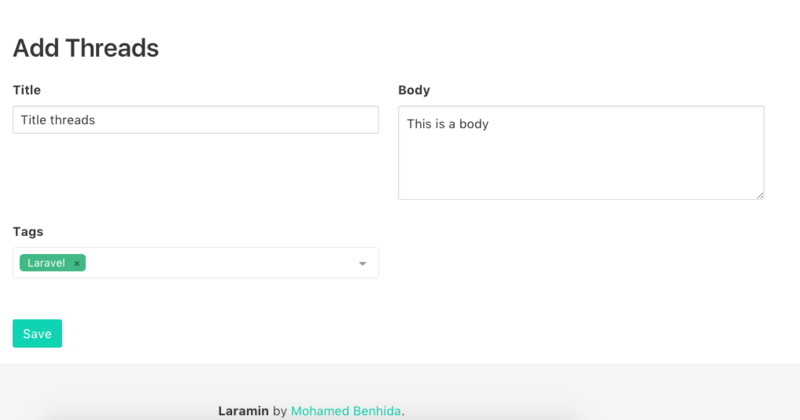 We did all that without touching a single line of code but we didn't looked to everything so is your turn to install the package and start discovering it you can also contribute and dont forget to add a star to github.